technology Sundar Pichai As Google CEO. Shame or Pride For Indians? There are lot of things that creates questions on our mentality as Indians. We people are not think out of boundaries created by our grandfathers many years ago. 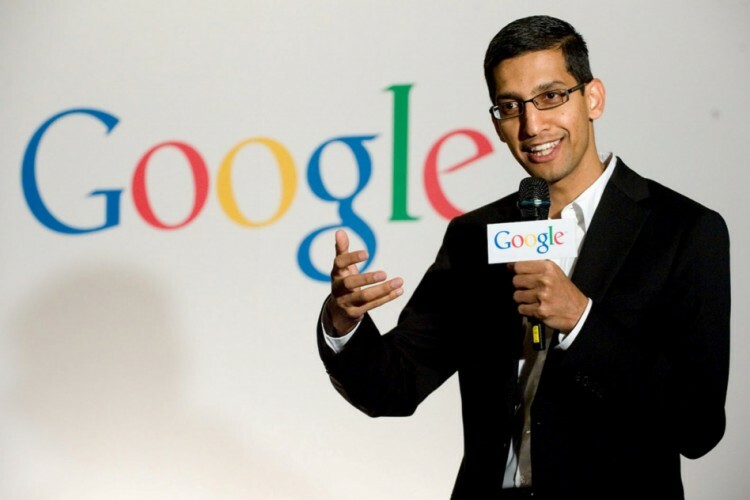 Yesterday, IIT Kharagpur's student Sundar Pichai become CEO of biggest tech company Google. He replaced one of founder of Google for that position & that is big news. But as an Indian shall we really need to be proud of it? To me he has to go to U.S. for Ph.D studies at Stanford University. Then he got job in is U.S. In 2008 he was part of team that created Google Chrome & later various other products for Google. I don't understand that, after IIT studies everything he did in U.S. for U.S. Then why we should be happy because he has roots in India. He was not part of Indian system in any way when he developed himself for that position. Also I personally ask for his nationality too. I don't think that is now having Indian nationality. We Indians have to think about producing such universities & companies so that people like Satya Nadella (CEO, Microsoft), Indra Nooyi (Chairperson, PepsiCo) & now Sundar Pichai need to go out & do well. We need to inject & change thought process of Indians.